Waist trainers can help to cinch your waist ever so slightly, accentuate your bustline and bring out the curves in your hips. By using a waist trainer correctly, you’re able to see results in as little as two to three weeks. While waist trainers aren’t a weight loss product – meaning that when you put it on you lose weight – they can help you to control your weight instead. Without wearing a waist trainer, you’re able to eat as much as you want and feel no discomfort as a result. However, if you tried to eat large portions while wearing one, you may struggle to do so. As a result, the benefit of a waist trainer for weight control is that you’re able to control your portion size and therefore, eat less. If you work in an office environment, you will no doubt be prone to a sore back and neck thanks to slouching at your desk. If you wear a waist trainer, you can dramatically improve your posture for the benefit of your back. As many waist trainers on the market feature metal bones, you aren’t able to bend down or slouch. Therefore, you sit upright at your desk without feeling uncomfortable. Over time, you will notice the difference to how much pain you feel in this region. If you have excess weight around your midsection, you may not feel confident wearing clothing that can be considered a little snug or tight fitting. By wearing a waist trainer, you’re able to distribute and firm up your mid-section evenly. Wearing a waist trainer under your clothing can more than equate to improved confidence in the clothing you wear. Women with larger bustlines face a daily battle of finding a supportive bra and combatting back pain as a result of a substantial bust. Waist trainers offer unparalleled support for your bust line, taking the pressure and weight off your back and neck and distributing the weight evenly instead. While waist trainers aren’t for everyone, they do provide a whole host of benefits of which you may struggle to receive without one. 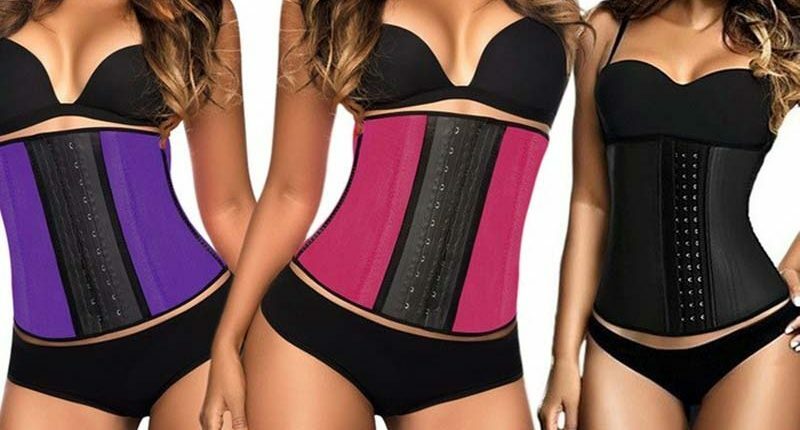 Choose the best waist trainer for your needs and notice the difference in just a few weeks.